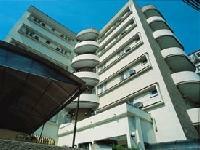 This hotel, as its name shows, is located in El Vedado neighborhood, near Havana's Malecón (seawall). The hotel guarantees its guests the utmost privacy and the tranquility of life away from the rest of the world. It opened in 1952. The services provided by the hotel and its prime location have made the Vedado one of the most sought-after hotels in downtown Havana. It has spacious rooms and halls, with great comfort and a peaceful atmosphere. Havana's international airport is at 15 km, and Old Havana is just 5 km away following Malecón avenue.